In case you haven’t already detected a theme, which points to my two favorite foods that I will almost invariably choose off of any menu or make for myself on a weekly basis: steak and mac and cheese. Steaks are the sole reason I could not ever be a vegetarian. Starting before I could really speak in full sentences, my mother introduced me to steak, and at that point it was the start of a lifelong love affair. From the thought of chimichurri hangar steaks to perfectly grilled bone-in rib-eyes to dry-aged prime filet mignon, my mouth waters and then the overwhelming craving commences. There is no option but to set on a quest for that perfect steak and satisfy the craving. On the other hand, there is my love of mac and cheese: the food on which I almost solely subsisted as a child. 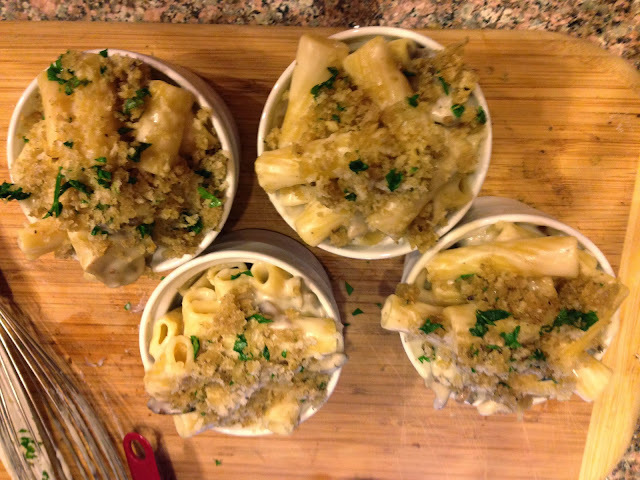 As I got older and my tastes became more refined, I realized the endless creations that take the name “mac and cheese”, substituting the packet of powdered cheese from that beloved blue box for a wide range of cheeses and including other ingredients such as bacon, truffles, onions, peas, mushrooms…. My cravings for both of these adored foods often come about on the weekend, when I crave comfort and have the time to properly devote to such wonderful foods. Now in the colder months, this spicy steak and creamy mac and cheese are perfect to add spice and comfort to the season. 2. Heat the oil in a large saucepan over medium high heat. 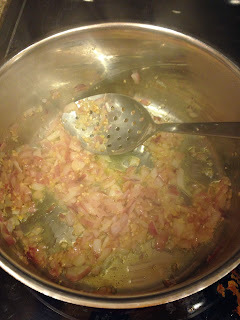 Add the onion and garlic and cook for 3 minutes. 3. Raise the heat to high. Add the wine and cook until dry (and drink a glass while this cooks off). 4. 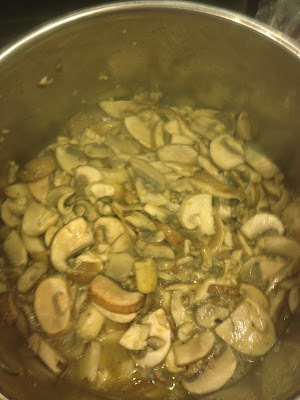 Reduce the heat to medium, Add the mushrooms and cook until lightly browned and soft, and then add the stock. Raise the heat to high and bring the mixture to a boil. Reduce the heat to medium and simmer for 15 minutes. 5. Whisk in the ancho puree and chipotle and cook for 5 minutes more. Add the honey and salt and pepper to taste. Keep warm until steaks are done. 2. Brush a large saute pan or grill pan with oil and heat over high heat until almost smoking. 3. Cook for 1 minute on each side, until brown and crisp. Turn the meat over, reduce the heat to medium, and cook for 3 to 4 minutes more, until done to your liking. 4. 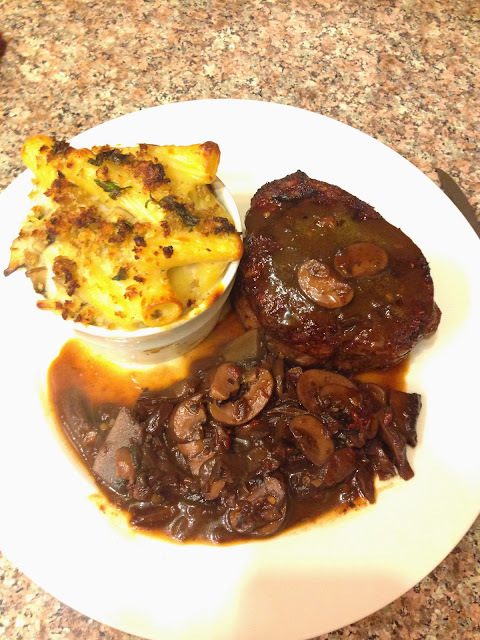 Serve with the Ancho Chile Mushroom Sauce. 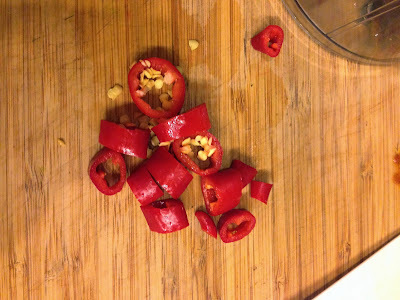 Please note: this is a spicy dish. I often put items up with spice, but this one is not for the tender taste-buds who find medium buffalo wings hot. 1. Bring a large pot of salted water to a boil; add the pasta and cook until al dente, about 9 minutes. Drain the pasta, reserving about 1/4 cup cooking water. 2. 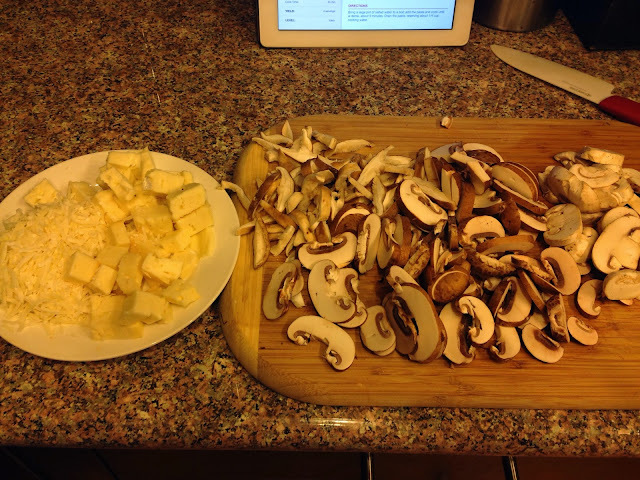 Chop and prepare all cheese and mushrooms. 3. Melt 4 tablespoons butter in a large skillet over medium heat. 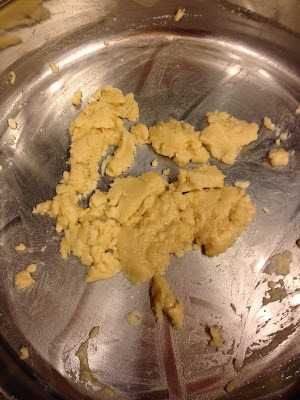 Stir in the flour with a wooden spoon to make a paste. Cook, stirring, until the paste puffs slightly, about 1 minute. 4. Remove from the heat and gradually whisk in the milk until smooth. Bring to a boil over medium-high heat, whisking. 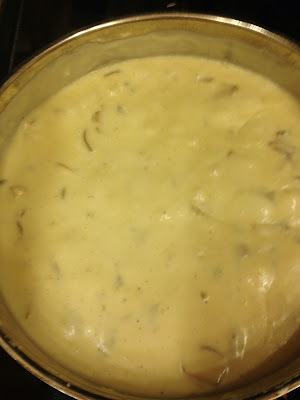 Reduce the heat and simmer, whisking occasionally, until the sauce is creamy, 8 to 10 minutes. 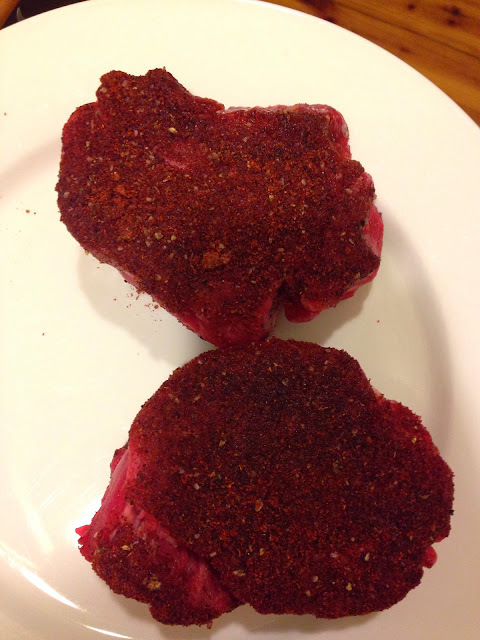 Add the nutmeg and ground white pepper and season with salt and pepper. 5. Heat 2 tablespoons butter and the olive oil in a large skillet over medium-high heat. 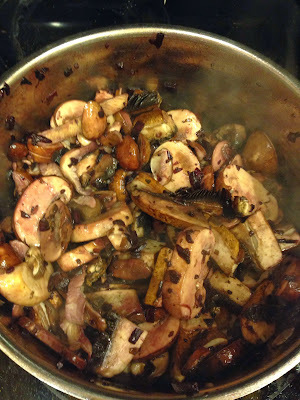 Add half of the mushrooms and cook until soft, about 8 minutes. Season with salt. 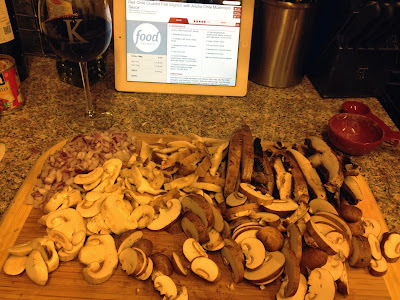 Push to the side of the pan and repeat with the remaining mushrooms. 6. Reduce the heat under the sauce to low and whisk in both cheeses until smooth. Stir in the mushrooms and pasta and toss, adding the reserved cooking water as needed (because I use different cheeses than the original recipe, and in a slightly greater quantity, I’ve never had to add any pasta water). This is a perfect, warming meal to make on a dreary weekend, when it’s too cold to even walk three steps out of the door to hail a cab to go to dinner!